All our agents have outstanding track records, each have a minimum of 5 years experience in the lettings market and are focussed in delivering results. We can not only give you detailed specialist advice, but can also take over the preparation of your property without charging for our time at any stage of the process. There is often a considerable amount of work involved in property preparation and co-ordinating the various contractors. We know how important your property is to you, and that you need to maximise the rental potential and minimise the risk to your investment. 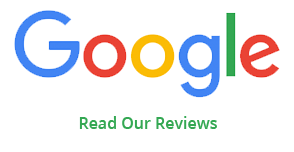 That is why we aim to ensure that we will find you tenants that will not only maintain the property to the highest possible standard but also pay their rent on time and in full. We are confident we can let your property quicker than anyone else. We can find you a tenant within 30 days of marketing your property. 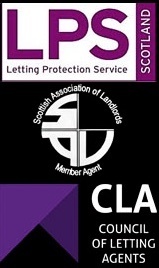 * Our guarantee is based on properties within the West End, City Centre and the South Side of Glasgow. This is subject to the condition of the property and the rental valuation, an agent will discuss this at the time of valuation. Once we have visited the property and if we consider the property condition to be a barrier we will work with you to ensure that it’s brought up to the required level. We will also advise on the best rental price based on current market conditions and current properties on offer. As regulations change we do the research to make sure you are aware of your current legal obligations as a landlord. We will advise based on research and current market conditions giving an accurate, honest, realistic appraisal of the rental valuation of your property. We will not hike up the suggested rental prices to win your business. An accurate assessment should increase the probability of securing a tenant at the earliest opportunity and avoid void periods where no rent is received. Our occupancy rates are between 90% -95%, our existing properties are occupied for longer periods meaning we have very few properties which are empty and not assigned to new tenants. We deliver low voids, 97% of our managed properties are void free. You will also be happy to know that we do not base your property on a first come first serve basis, all of our tenancies are completed upon an application process this way we always find the right tenant for your property. Letting is our passion Why go anywhere else?